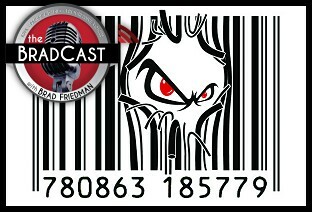 " The Battle Against Barcoded 'Paper Ballots' in GA, L.A. and Everywhere Else: 'BradCast' 3/12/2018	"
« PREVIOUS STORY "Latest Threat to Democracy: Barcodes, Ballot Marking Devices (a.k.a. 'Electronic Pencils')"
"The Battle Against Barcoded 'Paper Ballots' in GA, L.A. and Everywhere Else: 'BradCast' 3/12/2018"
So disappointed to hear that Verified Voting favors BMDs, if I understood you correctly. You did hear me correctly, Barbara. I suppose, they might say they *prefer* hand-marked paper ballots --- I don't know for certain --- but they are certainly very tolerable of BMDs, as we've seen once again via their lobbying in GA.